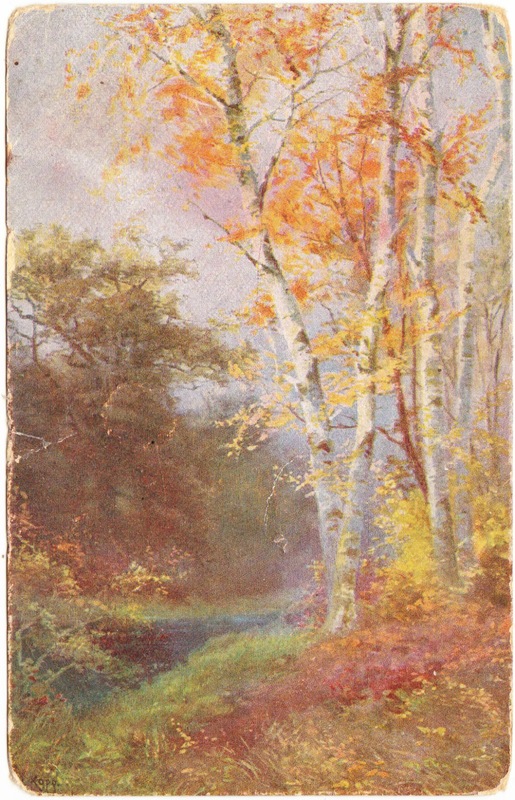 Papergreat: Old postcard: "Farben-Aufnahme direkt nach der Natur"
Printed in German on the back of the card is Farben-Aufnahme direkt nach der Natur, which translates to "color image directly from nature." Finally, the postcard reminds me a little of another German scenery postcard that was featured here: Partie am Ottofels b. Wernigerode. 1. Want it? I feel like it deserves to be mailed after biding its time for so long. That's what postcards are for! Be the first to send your address to sportseditorotto-at-gmail.com and I'll send it your way.